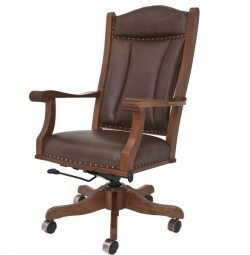 Your office needs to be a place of comfort, style and productivity. 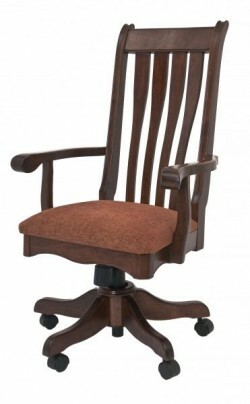 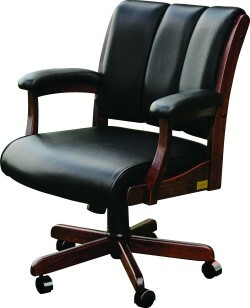 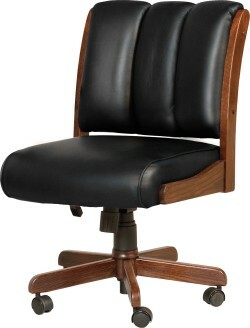 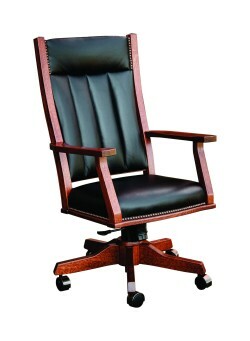 Our large variety of comfortable, customizable swivel office chairs are the perfect complement to any desk. 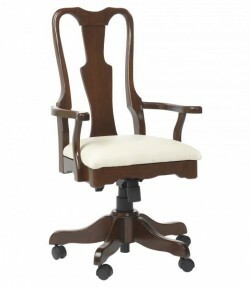 Whether you prefer a soft seat or a firm support our swivel chairs do not sacrifice comfort for style. 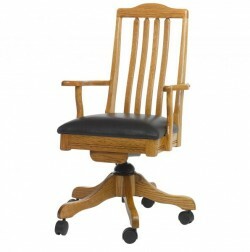 Masterfully hand-crafted by Ohio’s Amish craftsmen with the highest quality, they never use any synthetic or pressed wood. 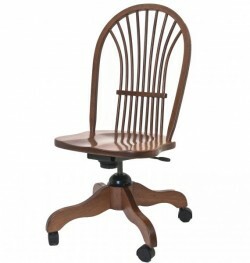 Instead, you have the chance to personalize your chair with the choice of American hardwoods like Quarter Sawn White Oak, Maple, Cherry and Red Oak. 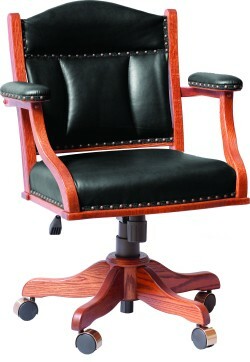 A variety of stain colors are available as well as genuine leather or upholstered cushions. 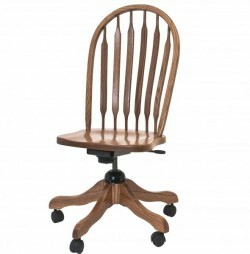 Our swivel chairs can be as unique as the body who sits in it. 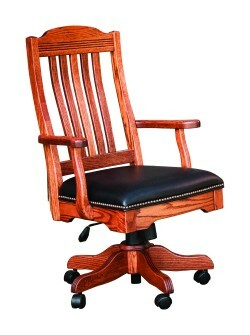 To experience the comfort, durability and high-quality design for yourself, pay a visit to our two-story showroom in historic Uptown Westerville, Ohio. 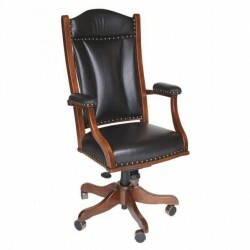 Our experienced sales and design staff will be more than happy to help you choose the perfect swivel chair to fit your needs.